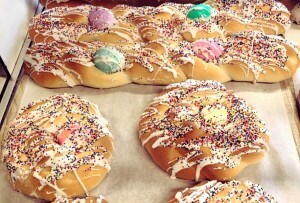 In less than four hours from PHL, you can be in a food-rich, sun-strewn, adventure-filled wonderland. By Philly Mag Staff·	 2/23/2019, 8:56 p.m.
There’s a reason everyone from your book-club crew to the La Colombe barista can’t stop raving about recent trips to Mexico: With high-design hotels on white-sand beaches, world-class restaurants in a world-class city, and amazing museums in a middle-of-nowhere paradise, there are more reasons than ever to experience the country right now. (And direct flights to Cancún, a jumping-off point for many resort towns, certainly don’t hurt.) Unsure where to head first? Here, four distinct destinations that let you enjoy all that unites Mexicans and Americans, in spite of forces that seem determined to divide us. Old meets new in endless ways in this postcard-pretty town. The Parroquia de San Miguel Arcángel church rises above central San Miguel. Photograph via iStockPhoto. San Miguel de Allende isn’t easy to get to, especially for a weekend. 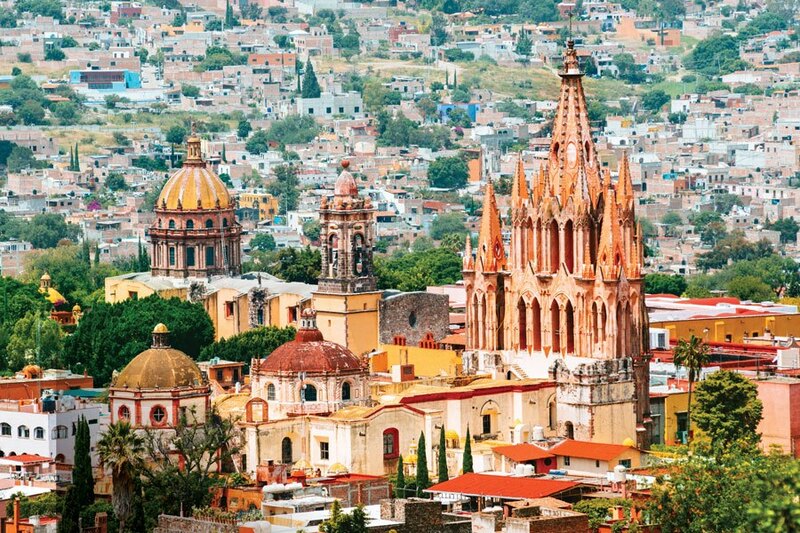 It’s nestled deep in the central state of Guanajuato, so I book a driver (via transport outlet Viajes San Miguel) to pick me up at Querétaro Intercontinental Airport. We’ve rumbled along 90 minutes of sleepy desert highway when suddenly, and seemingly out of nowhere, the city rises in the distance like a mirage. Once you’re there, however, it is easy to forget all that travel, because not many places like San Miguel exist. The Spanish colonial city was named a UNESCO World Heritage site in 2008, and it’s worth preserving. 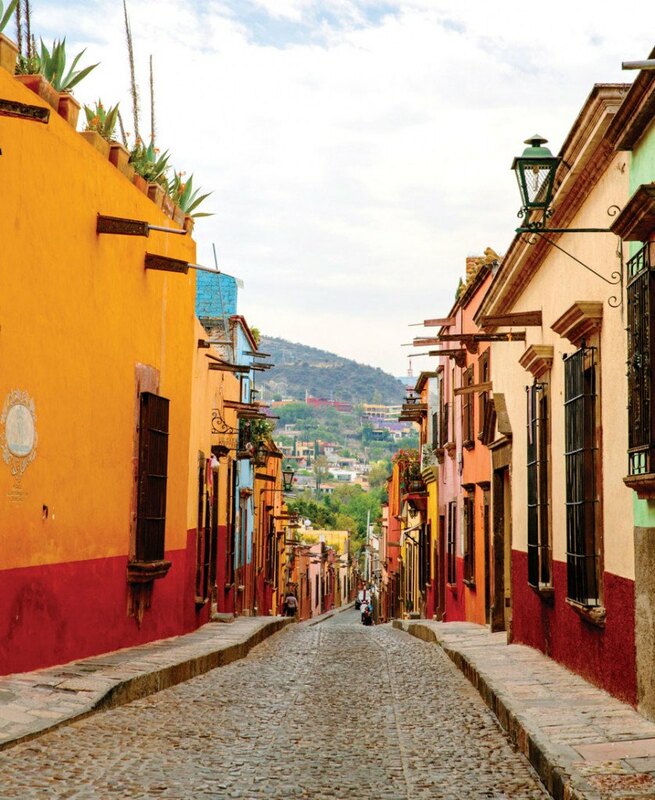 Each way you turn, winding cobblestone streets are dotted with stucco buildings in every color of the sunrise. I amble without an agenda, expecting to encounter storefronts filled with tourist tchotchkes, but instead stumble on Dôce 18, a food hall/bookstore/coffee shop/pop-up boutique so stylishly multi-sensory that I return twice more. Later, when I stop by Mixta, I’m instantly convinced that I’ve uncovered the secret home-decor resource of all my favorite boho interior-design bloggers. It’s clear this whole colonial-on-the-outside, contemporary-on-the-inside thing is the key to San Miguel’s charm (and why it was crowned “Best City in the World” in a Travel + Leisure survey the past two years). I also run into weddings. (The town has become a top spot for destination nuptials.) Led by giant mojiganga puppets, wedding parties parade the streets seemingly every Saturday, dancing and swigging tequila from clay shot glasses worn on ribbon strings around their necks. It all reinforces what a happy place this is. So happy, in fact, that when a driver returns to whisk me back to the airport, I can’t help but wonder if it all really was a mirage. A quick tug on my new shot-glass necklace confirms otherwise, so I make a vow while my resolve is still high and I’m maybe still a little drunk: I’ll be back, San Miguel — though next time, I’m definitely staying longer than a weekend. Healthy living lets loose in this wellness haven. A villa bedroom at Sanará resort. Photograph by Matt Maydo. Two hours due south of Cancún, this small coastal town is now crowded with open-air yoga studios, holistic healing sanctuaries and fresh-pressed juice bars. It’s vacation catnip for L.A.-dwelling celebs, and for six days, my fiancé and I were ready to embrace the hype. We became the kind of people who wake at sunrise in a luxury tent, then shower outdoors, enclosed on four sides by vines and branches. 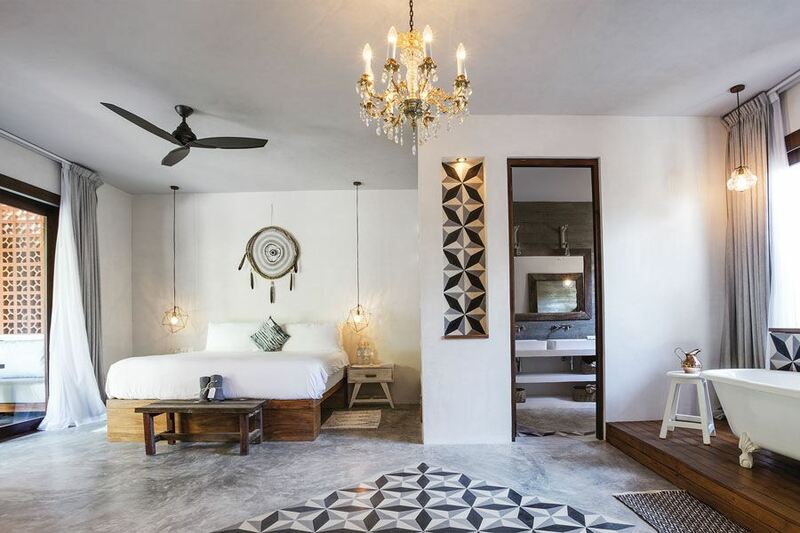 We did this at Nômade, a four-year-old holistic resort on what locals call Beach Road, Tulum’s main tourist artery and home to the area’s most upscale resorts, restaurants and spas. When we were ready to move, we rambled around Beach Road on complimentary bikes from our hotel. We got a couples massage at Yäan Wellness Energy Spa, which is hidden in tropical gardens, and hiked the ruins of the ancient Mayan city of Cobá. 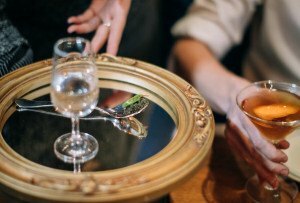 At the Real Coconut, a plant-focused restaurant at the nearby Sanará resort, we threw back honey-and-apple-cider-vinegar shots in one gulp. We returned to Nômade to sit cross-legged on Moroccan cushions and dine on chicken with pink mole at Macondo, the resort’s rug-and-sand-floored restaurant. Another night, we headed to the north end of Beach Road for grilled octopus with xcatic chili salsa at jungle-side eatery Arca, where copal burned to keep the mosquitoes at bay. In Tulum, we were living the pages of a Free People catalog, sipping green smoothies after meditating each day. We spent every waking moment indulging our healthiest whims, caring about nothing but detox mud massages, hydrotherapy pools, and where our next organic meal was coming from. We never could have kept it up, but we wanted to stay forever. Yes, it’s possible to find authenticity in a tourist zone. 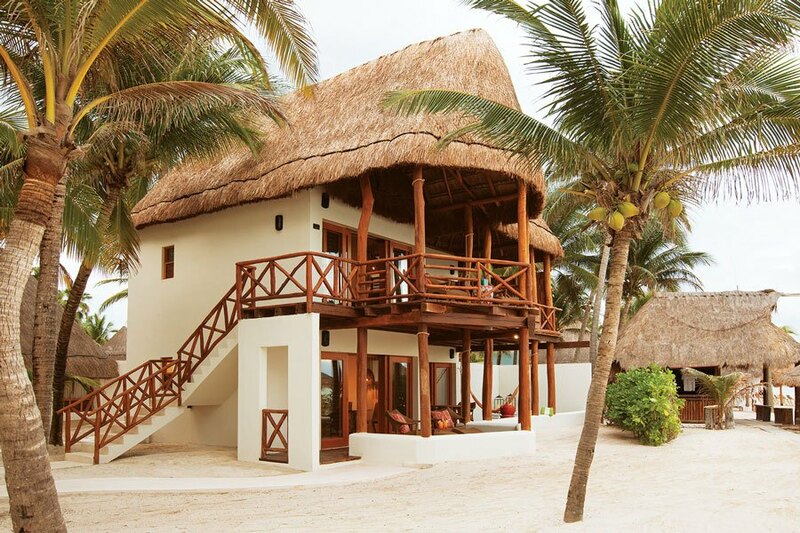 A beach house at Mahekal Beach Resort. Photograph courtesy Mahekal Beach Resort. En route to Playa del Carmen from the Cancún airport, I have a salty, slushy margarita in my hand and questions about the best way to approach three days in my sunny destination swirling in my head. While many visitors to this town on the eastern edge of the Yucatán Peninsula don’t make it past their beach chairs, I’m determined to seek out something more. I don’t have to look hard. My home for the stay is Mahekal Beach Resort, a magical bungalow-style getaway where the sunny, straw-ceilinged rooms rise only to the tops of the palm trees surrounding them. 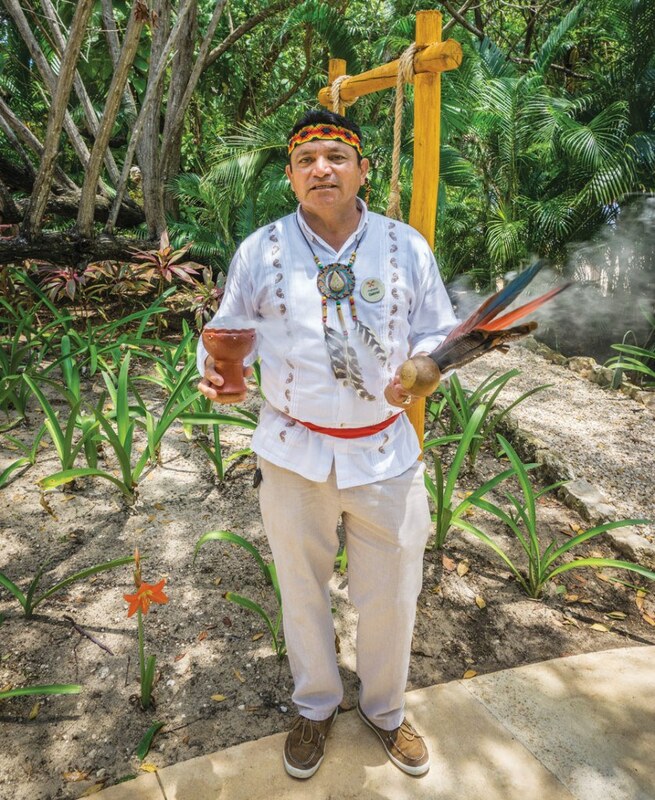 At the hotel’s Mayan Culinary Casita, I watch chefs of Mayan descent prepare and serve traditional chicken-lime soup, handmade tortillas, and xtabentún, a local honey liquor, using the clay pots and pit ovens of their ancestors. Saturday at lunch, I see local fishermen hauling ashore the fresh-caught tuna that will later crisp in the wood-burning ovens of Fuego Restaurante y Cantina, another on-site eatery. In the petite town center, a five-minute walk from Mahekal on the main road, locals share glimpses into daily life and tidbits of history nearly everywhere I go. (Turns out Mayans made one of the first-ever chewing gums from the sap of chicozapote trees.) I’m even offered impromptu salsa lessons at La Bodeguita del Medio, a lively Cuban bar on Quinta Avenida, the town’s spirited nightlife and shopping strip. A greeter at Mahekal’s Mayan Culinary Casita eatery. Photograph courtesy Mahekal Beach Resort. Further out are the cenotes, Playa del Carmen’s best-known natural wonders. At these thousands of sites, collapsed limestone has created freshwater swimming pools. I snorkel in crystal-clear currents beneath a ceiling of intricate stalactites at El Sueño, and later float above swaths of tropical fish at Yal-Ku Lagoon. It all paints a picture of more possibilities than I expected. You can play tourist in Playa del Carmen, but you can also experience a real version of Mexico. All you have to do is get off the beach. Discover ambitious fine dining, hipster bars, and some of the world’s greatest street food around every corner. 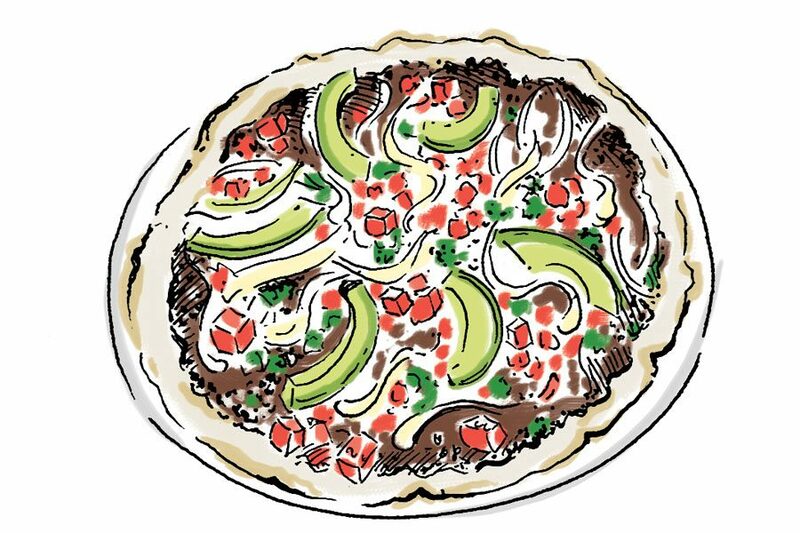 The right way to eat in Mexico City is often, and without a plan. From fantastic 40-cent tacos to full-scale destination dining, food and drink are everywhere in Mexico’s capital city — that’s why it’s become the destination for gastronomic thrill-seekers (read: everyone) these days — and I plan to get my fill. 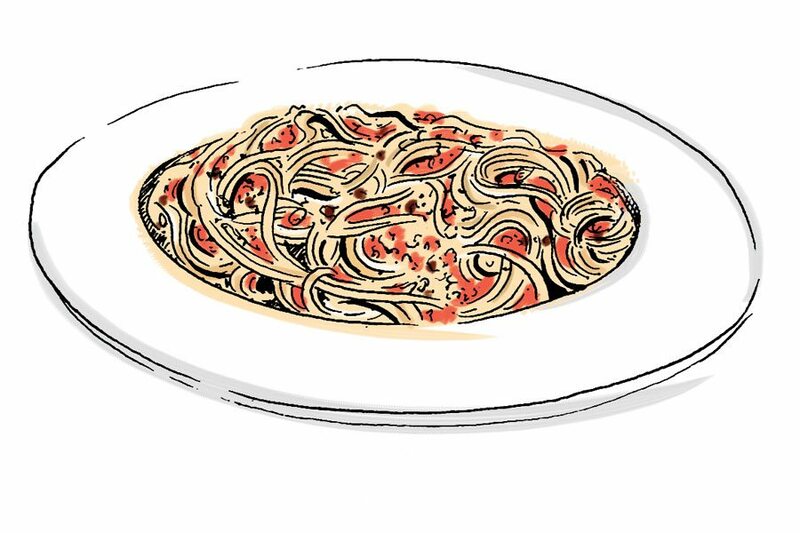 I’m out the door by seven each morning and go straight to Condesa or Roma Norte — two hip-as-hell adjacent neighborhoods seemingly overrun with new restaurants and bakeries. The direction I take doesn’t matter, so I walk aimlessly until I run into a group of old women sitting on tiny stools on the sidewalk around giant steel pots. I order a tamale from them, and then an orange-pineapple juice from the old man who’s squeezing fruit at a nearby stand. I find a park (there’s always a park) in which to sit and eat and take in the ease of it all: shop owners sweeping their front steps, dogs staying without leashes (dogs are notably obedient here), buildings painted to look like a technicolor rainbow. My afternoons play out much like my mornings — I wander the same neighborhoods, but this time for tacos. 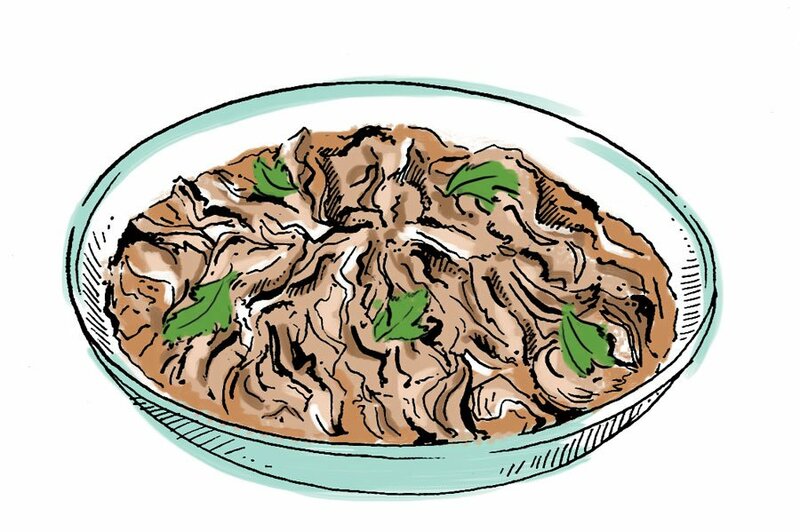 For tacos de canasta (a smallish, snacky sort) whenever I see a stand hawking them, and for shawarma-style tacos árabes at no-frills El Greco, where a crowd is always waiting for a table. Some days, I brunch. 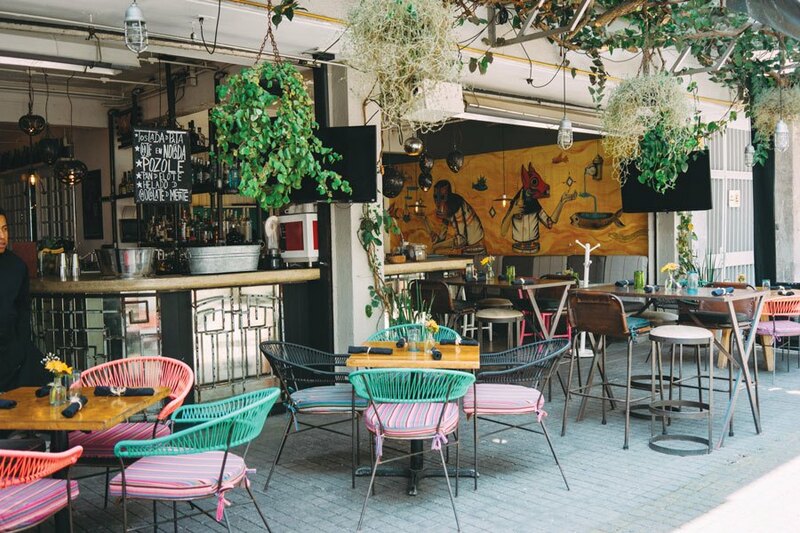 Twice at Fonda Mayora in Condesa, a friendly bistro where the service is as elegant as the roasted bone marrow sopes, and also at markets like Mercado de Coyoacán, where I graze on fried grasshoppers and candied fruit while shopping for tapestries. 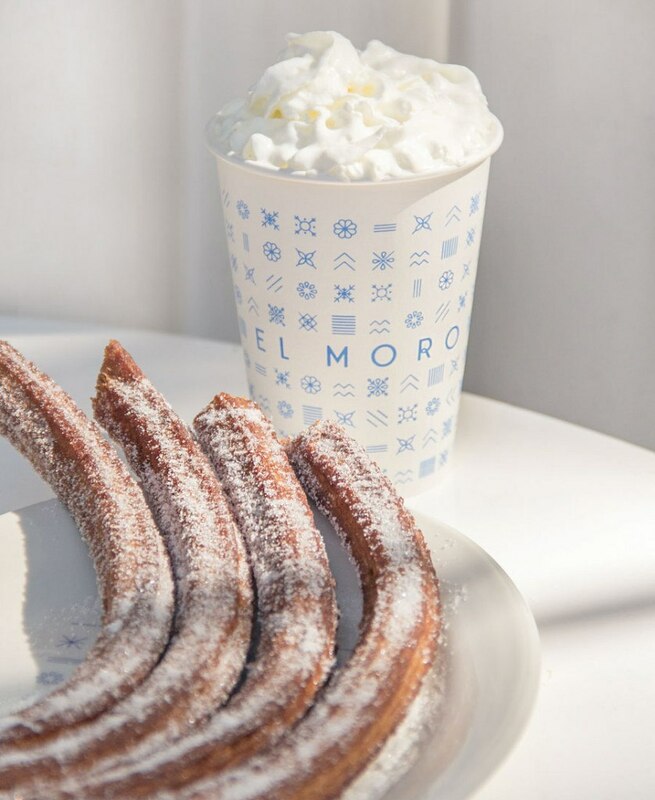 Churros from an El Moro location. Photograph by Paola Felix. Between meals, I sightsee. The National Museum of Anthropology, for sure. Frida Kahlo’s house, absolutely. The ruins of Teotihuacan, a nearby ancient Mesoamerican city, without a doubt. My nights are planned. Intentionally. 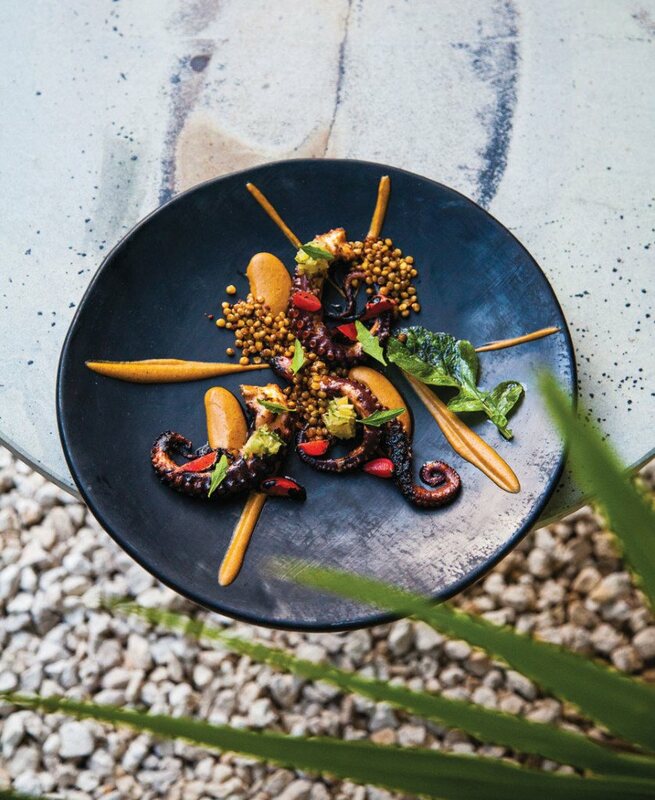 I go to Diana Restaurant in the über-posh St. Regis, my blissed-out hotel in the quieter Cuauhtémoc neighborhood, for a glimpse into Mexico’s flourishing wine scene. Then there’s Bósforo, in Centro Histórico, for mezcal so local that the bottles have handwritten labels, and the original El Moro — also in Centro — which operates like Café Du Monde in New Orleans, only instead of beignets, it’s churros. But intentionality is often meaningless in CDMX. When a rainstorm foils an evening of outdoor dining, I duck into a restaurant called Merendero Biarritz. As I dry off over a homey bowl of chicken stew, a guitarist walks in off the street to serenade the room. The power goes out, so the servers light candles. The guitarist keeps playing, and we keep eating our stews. And you know what? That’s the right way to eat in Mexico City — at the whim of the city — and maybe the right way to vacation there in the first place. 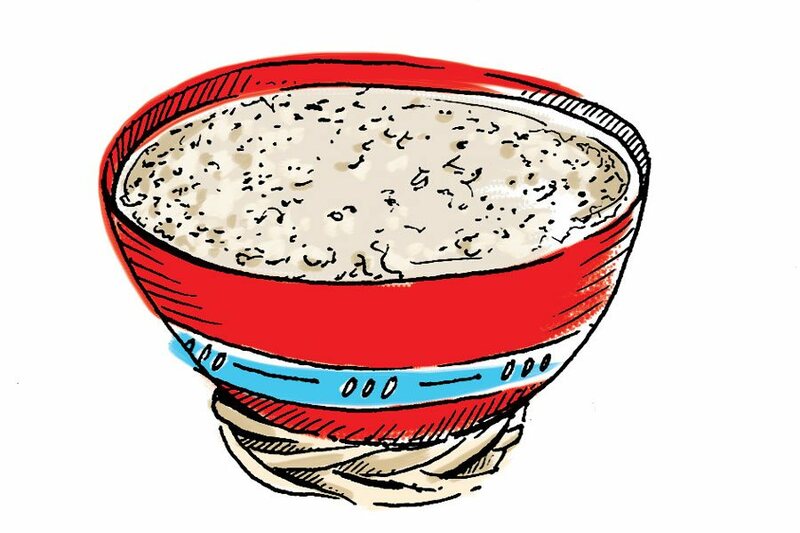 Four of Philly’s Mexican chefs on their home country’s must-eats. Published as “To Mexico We Go” in the March 2019 issue of Philadelphia magazine.